Dublin asked for a lawsuit. CaRLA is happy to oblige! On January 9, 2018, CaRLA gave testimony at a meeting of the Dublin City Council describing in detail the ways that a denial of 220 homes at Dublin BART would bring about a lawsuit against the city. Having heard this and given it consideration, Mayor Haubert said into the public record that the city should “take our chances with a lawsuit”. Mayor Haubert, CaRLA is happy to oblige. 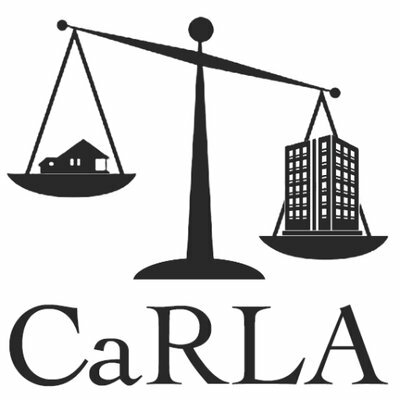 Today, CaRLA has filed suit against the City of Dublin, alleging a violation of the Housing Accountability Act. Ashton at Dublin Station has a long history, starting out in 2002 with the East Dublin Specific Plan’s approval. It took nearly 20 years, but the city finally voted to deny the project. In the process they transgressed so much more than just the Housing Accountability Act; the developer of the project filed separately with numerous claims of discrimination against protected classes in their public testimony. Not only are they violating the HAA, they’re violating the Fair Housing Act, a 15 year old development agreement, the equal protection clause of the US Constitution, the Fair Housing and Employment Act, and others. This project is also CaRLA’s first affordable housing project. Ashton at Dublin Station includes 33 affordable homes, for 15% of the total project, as is required by Dublin’s zoning for the site. Affordable housing is a rare bird in suburban communities, and CaRLA is proud to be supporting this. When non-profit developers of affordable housing have razor thin margins and tight funding deadlines, any kind of delay or hiccup in the approval process could spell disaster. Combined with low density zoning that effectively outlaws new apartment buildings, it is almost impossible to propose an affordable housing project in an exclusionary suburb and see it to completion. CaRLA’s lawsuit against the City of Dublin sends a strong signal to other cities and affordable housing developers around the state: Cities like Dublin must follow their own rules, or expect consequences. We are working to restore a legal environment in which California builds housing equal to its needs. Part of that work is filing lawsuits such as this, and our previous cases in suburban towns avoiding their responsibilities to provide the human right to housing such as Sausalito, San Mateo, and Berkeley. Our work is invaluable, but under a capitalist economy we all still need to make rent. If you haven’t already, please consider signing up for a monthly donation to CaRLA. Your contributions directly enable us to do more work like this.